Dog Paw-ty treats are a great way for any owner to celebrate their dog’s birthday. Every dog has its day, and now every dog can celebrate accordingly. Bone Appétit Bakery, a North Carolina-based online gourmet dog treat bakery, launched its “Paw-ty” line of treats earlier this month, which includes indulgent delicacies any dog can appreciate. 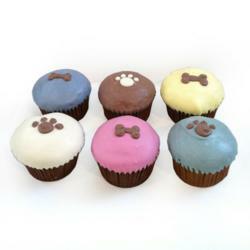 Available at GotTreats.com/birthday, Paw-ty treats range from traditional Cake Bites to playful Cake Pops. Gender-specific variations — blue and pink, of course — also are available in addition to the classic brown-and-white. 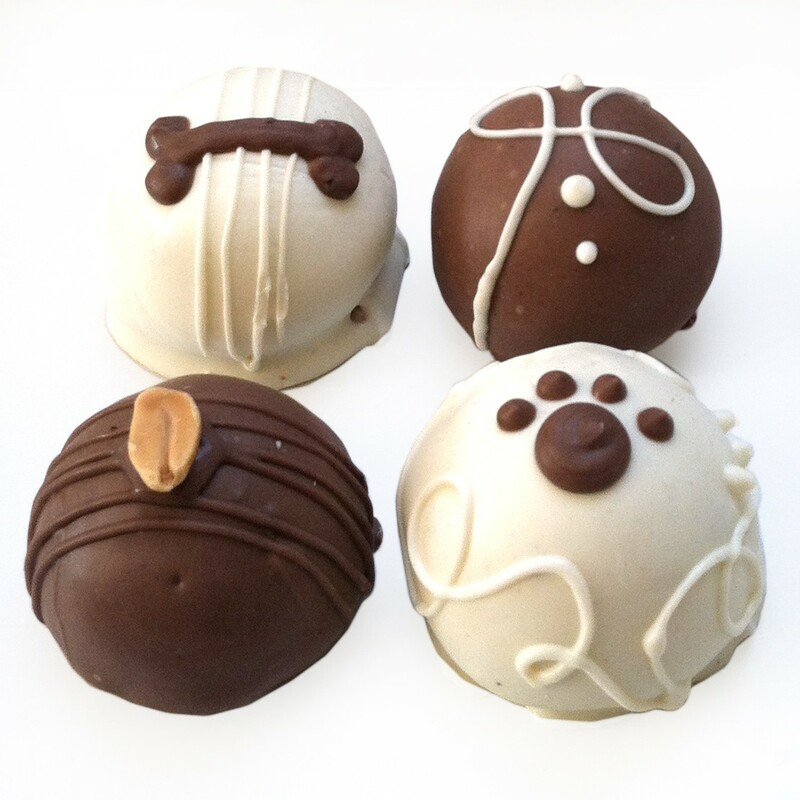 But the real crown jewels of the Paw-ty line are the Pupcakes, which come in assorted six-packs. Sized like your everyday cupcake, these Pupcakes are festively decorated and topped with bite-sized bones and paw prints. All items in the Paw-ty line are organic and all-natural with no artificial colors or flavors. They also are wheat-, corn-, and soy-free. And more Paw-ty treats are on the way, says Bone Appétit founder Justin Frechette, including brownies and present-shaped treats. Bone Appétit is happy to announce that it has added three new all-natural offerings to its product line, available at GotTreats.com/no-wheat-no-corn-no-soy. Grain-free Peanut Butter Hearts and Sweet Potato Bones are now available in one-pound bags. There also is a one-pound Trio bag, which offers the two aforementioned morsels plus a banana-carrot treat. Made from a garbanzo bean and potato flour mixture, these new treats are light, airy, and easy to break and crunch. Grain-free treats are perfect for dogs with sensitive stomachs and/or allergy restrictions. Dogs with skin problems should avoid grains, as well. Bone Appétit Bakery is a leading provider of gourmet dog treats to humans (and their pets). All of our treats are baked fresh with all-natural and organic ingredients. Every wholesome ingredient is top-quality, human-grade, and safe for your dog. We carry 100% wheat-, corn-, and soy-free treats! There are no added preservatives, chemicals, artificial flavors or colors, sugar, or salt. All of our meats are free-range, hormone- and antibiotic-free, and grain/grass-fed. Our ingredient lists will always be short and comprised of recognizable ingredients. Buy yours today at GotTreats.com.